What is the BEST Skoliosis Treatment in Malaysia? First and foremost, it’s important for people to know, skoliosis is not a disease or disability. Secondly, the Best means of skoliosis treatment is a targeted, holistic non-invasive route. It is merely a structural deformity that is classified with the presence of a sideways (lateral) curvature of the backbone. The curves may be of a C-shape (single curve) or an S-shape (double curve). The human spine is the fundamental component of the central nervous system thus, playing a pivotal role in our quality of life. Being made up of 33 vertebrae stretching from the base of the skull to the tailbone, the spine houses sensory and motor nerves which supply not just the muscles, but also the organs of the entire human body. A curve that is bad can severely impair a person’s breathing capability and their heart function. There are many types or skoliosis that may affect the old and the young, but the most common cause of it to date remains to be Idiopathic Skoliosis (unknown). Through the ages and through thousands of studies that were carried out, skoliosis has found to be predominantly of the female gender. At the age of 9, girls are five times more likely to be diagnosed with skoliosis as compared to boys. It is important that the awareness of skoliosis starts growing among people of the public. Skoliosis develops very gradually, and most of the time, parents or children will only notice slight structural misalignments when the child is 10 – 14 years of age. As they say, prevention is the better cure, and this can never be truer when put into the context of skoliosis management. The younger the child is when diagnosed with skoliosis, the faster we can be proactive and start managing the curvature. Remember this when it comes to your health: the longer you wait for it to get worse, the longer you have to wait for it to get better! What are some of the Causes of Scoliosis? There are two general classifications for skoliosis, structural and non-structural. Structural skoliosis is the permanent formation of a spinal curvature due to congenital disabilities, diseases, infections, or injuries. 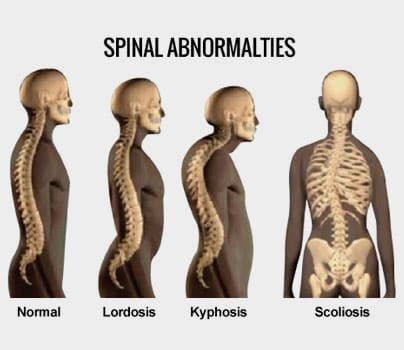 Non-structural skoliosis is when the structure of the spine is normal, and the formation of the curvature is due to muscular imbalance. Nonstructural skoliosis is always easier to treat. Congenital skoliosis is a sideways curvature of the spine that is caused by a defect that was present at birth. It occurs in only 1 in 10,000 newborns and is much less common than the type of skoliosis that begins in adolescence. Children with congenital skoliosis sometimes have other health issues, such as kidney or bladder problems. Even though congenital skoliosis is present at birth, it is sometimes impossible to see any spine problems until a child reaches adolescence. According to the American Academy of Orthopedic Surgeons, a Neuromuscular Scoliosis (Skoliosis) is the abnormal spinal curvature that results from malformations or disorders of the brain, brain stem, spinal cord or muscular systems. In some cases, neurological skoliosis results from a combination of one or all these issues. Muscles need input from nerves for them to function properly. So, in a neurological skoliotic (scoliotic) condition, the function of nerves and then muscles are impaired, leading to inappropriate balance and alignment of the spine or trunk (chest). A Neuromuscular curve is the primary cause of a pelvic rotation (obliquity). Often, a pelvic rotation is further complicated with a pelvis tilts, with one side higher than the other. Frequently, kyphosis is also concurrently present. The scoliotic curvature develops due to the presence of underlying neurological conditions like cerebral palsy, myelomeningocele, Guillain-Barré syndrome, or other spinal cord injuries. These are curvatures that develop as the result of a traumatic incident to the spine. The occurrence of fractures and dislocations can cause damage to growth plates and instability in the spine. As growth progresses, the spinal development will adapt to the instability, leading to the presence of curvature. The Adolescent Idiopathetic Scoliosis or Skoliosis most common type of skoliosis starts after the age of 10 years in an otherwise healthy person and has no apparent cause. While the incidence of subtle curves is similar in both sexes, the ratio of boys to girls with curves in the treatment category is 1:8-10. AIS in girls account for about 90 percent of curves seen in clinical practice. The cause of idiopathic skoliosis is being investigated worldwide. It is probably genetic, but no one knows for sure yet. Avoid the Insane and Nonsensical Scoliosis Treatment options that Lead to Surgery? When it comes to surgical skoliosis treatment, surgeons and other doctors are never hesitant to lend a helping hand. The primary purpose of spinal stabilization surgery for skoliosis patients is to reduce the angle of curvature (Cobb’s angle) and to ensure the curve does not progress to a level where a person’s systemic functional capability will be impaired. The sad part is, to achieve this; doctors have to be very invasive with their surgical procedure. Among the most common methods is spinal fusion, where two adjacent vertebral bodies are fused together using a bone graft. This means there will be a severely decreased range of motion in the spine of the patient. But to top it off, surgeons would go one step further and use metallic implants like rods to stabilize the spine. With this, the honest truth is that a person’s life will never be the same. They will have difficulty playing their favorite sport or exercising and may experience occasional back pain. And if the surgery does not sit well with the patient, there may be a need for repeated surgical interventions. All in all, we are not saying that surgery is bad and must not be done. We are merely here to inform the public regarding the downsides to skoliosis surgical interventions. If a person is facing severe, life-threatening possibilities, significant cosmetic deformations, or systemic functional impairment, surgery may be warranted. But by all means possible, if surgery is avoidable, please avoid it, not for our sake, but your own spine’s sake. Consider all of the possibilities before making your choice. The choices you make today will affect the rest of your life in a big way. The best way of avoiding surgery is through the avoidance of the current insane, nonsensical methods of nonsurgical skoliosis treatment offered at hospitals, clinics, and some therapy centers. For the most part, these are means the result of surgical interventions as they lack the needed specificity. What Are The Common Non-Surgical Treatment Options? The conventional medical protocol for treating skoliosis has failed because it lacked the specificity needed. Most mild and some moderate skoliosis conditions seen by orthopedic surgeons are referred for physiotherapy. Unfortunately, many centers, clinics, and hospitals that offer skoliosis treatment do so with limited knowledge of skoliosis. While the surgeon has your best interest in mind, it is often the physiotherapist that performs that task for a non-surgical option. All around the globe, surgeons refer patients to physiotherapists, but rarely ever go to a physiotherapy department to oversee patient care as given by physiotherapists. In short, the surgeon may only see you or your child on a quarterly basis. Often, there is a lack of interaction between a physiotherapist and surgeons. As such, the needed biomechanical analysis is forgone, and treatments provided are often similar, if not the same as it would be for any given spine patients. Unfortunately, this has been the protocol for most surgeons and physiotherapist for decades. Ask yourself, if you or your loved ones had scoliosis, would you want to go down this path? Other common forms of non-invasive skoliosis treatments are those carried out through chiropractic care, physiotherapy, yoga, pilates, specific skoliosis exercises, acupuncture, vestibular rehabilitation, manual muscle therapy, vibrational therapy, and dynamic bracing. However, even with a great variety of treatment options available, people must realize which options are beneficial for combating skoliosis and which methods just appear to look good on paper but are lacking in efficacy. To conclude, skoliosis treatment must be target specific and rendered through the clinical efforts of non-surgical teams with expertise and advanced therapeutic skills as needed for skoliosis treatment, such as the methods and systems used for our center: The Chiropractic Specialty Center®. Due to the curvature of the spine in skoliosis, biomechanical changes will occur, leading to a faster rate of degeneration and a higher tendency to develop spinal disc herniation, as well as damage to muscle, tendons, and ligaments. Therefore, what needs to be targeted would be the bone structure as well as the muscle tone. We, at Chiropractic Specialty Centre, incorporate research-based targeted forms of chiropractic treatments (specific chiropractic adjustments) and focused clinical physiotherapy, which is further backed by advanced technology. Our chiropractors are masters of the neurological aspects in the spine and realigning the central nervous system aka the spine, whereas our skoliosis specific physiotherapists focus on specific, targeted skoliosis treatment towards the muscles that need to be worked on. Why choose one when you can have the best of both worlds? The combination of chiropractic and physiotherapy can bring about wonders if—and we must emphasize if—done well. Also, the care you get from one of our centers is further enhanced with therapies provided on advanced spine technology, which others do not have: The RxDecom. The RxDecom is the most sophisticated spinal decompression therapy device in the world today. When it comes to skoliosis, we utilize this method to help spinal elongation and to apply spinal decompression gently; a needed component for reducing the curvature. Best of all, skoliosis treatment on the RxDecom is painless and highly target specific. Therefore, the combination of our methods of chiropractic, physiotherapy, and RxDecom offers you an alternative that others do not have. In short, our systems of skoliosis care can provide you with the most comprehensive means of therapy and management, helping you may avoid surgical interventions. What Are The Best Scoliosis Care and Management Methods? Here, we start to tackle the age-old question, what is the most effective strategy to manage and treat a patient with skoliosis? This is highly dependent on the target that we hope to achieve and what the patient needs. Not everyone is the same; hence, having a standardized skoliosis treatment regime for everyone is stupidity at its finest. The “one-size-fits-all” methods incorporated in the of standardized scoliosis treatment is the primary reason why scoliotic patients do not improve or, turn towards the surgical approach. Practitioners fail to comprehend the fact that the patient’s needs are the primary focus. The first and most common category of patients is the younger patient who presents at one of our centers because their parents, themselves, or their friends realized that they are “not walking straight” or have “a crooked back.” If skoliosis is detected at a young age, our goals would be to ensure that the curve does not progress and, at the same time, to decrease the angle of curvature. 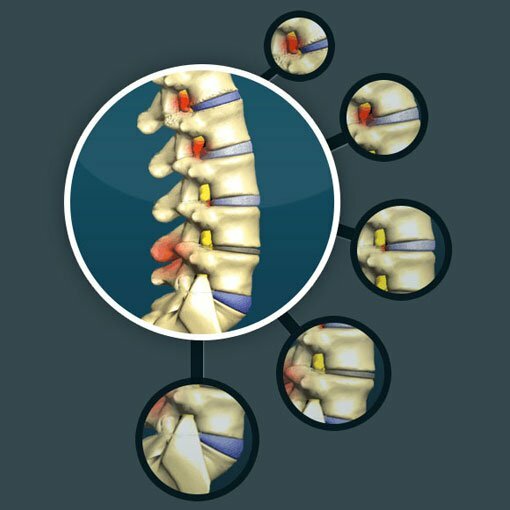 However, there is another group of patients whose main concern is back pain or neck pain caused by the curvature, in which case, those regions of the spine will be set as the primary target areas during their skoliosis treatment session with us. Skoliosis alters the biomechanical functionality of a person, which will put the muscles, ligaments, spinal discs, and bones at much greater risk for damage and will induce spinal degeneration at a faster rate. Patients who fall into both of the above categories will respond wonderfully to physical therapy IF ADMINISTERED CORRECTLY. Chiropractic and Physiotherapy have been combating skoliosis for years with substantial evidence showing how effective they are. Using the right technology with the understanding and knowledge of how the human spine works will be of immense benefit to the patient’s well-being. In short, the care we provide you is comprehensive in the manner that we target not just the spine, but also, the muscles, tendons, and ligaments of the spine as well as weight-bearing joints (hips, knees, ankles, and feet) with an emphasis on spinal discs and spinal nerves. Lastly, are patients who present with a greater degree of skoliosis and complain about impaired systemic function capabilities, breathing difficulties, or chest tightness or are unhappy with their cosmetic appearance? They would require a more aggressive, but painless approach from us. Yes, surgery is an option, but we would recommend that our non-operative method first, and surgery as an absolute last or distant option. One of the fundamentals of skoliosis treatment if the differentiating tight muscles from weak muscles. If any practitioner does not bother to identify these and claims to treat skoliosis, we would seriously encourage you to reconsider choosing him/her as your preferred physician or caregiver. Only by identifying those muscles that need to be worked on can specific exercises be administered. Nobody doubts the role of exercise in skoliosis treatment; however, very few are prescribing the right exercises for a scoliotic spine. More often than not, exercises that are given to skoliosis patients are very general and ineffective in reversing the curvature. There are even times at which the exercises prescribed are wrong and worsen the degree of curvature. This may be due to exercises were given by practitioners who lack the understanding of the spinal biomechanics that make the tight muscles even tighter. This will lead to a greater angle of curvature with tighter muscles holding the vertebral bodies in place. It will be tenfold harder to undo once the damage is done. This is why we strongly encourage our patients to do only the exercises that we prescribe to them and not do something that they have learned from the YouTube, a Guru or their friend has told them to do. Nowadays, medication is not the only thing you can overdose on. When it comes to skoliosis, you can overdose on exercises too. Many have the mindset of “if I do more, the effect will be faster.” This cannot be more wrong as more can often mean the formation of an unstable spine, leading to a higher probability of developing spinal injuries. In a nutshell, be careful of what exercises you do and where you get them. Your spine is like your heart or your brain; you only have one of it, and it is a vital component of your body’s well-being. If you want a healthy and good life, please treat it like gold, and get the best care possible for it. It’s the least that it deserves. We are the Best, and YES, we are biased in our opinion! But, our partialities are based on our clinical accomplishments and our research-based means of treatment for a skoliotic patient. To further defend our prejudice biased few is the fact that none in Malaysia offer the type of comprehensive care we do. At Chiropractic Specialty Center®, we only have one goal in mind; to ensure our patients get better at the fastest rate possible. Our skoliosis treatment programs are patient-centered, accurate, and based on the clinical needs of each patient. We incorporate two vital components, which any health center treating musculoskeletal conditions must consider: chiropractic care and physiotherapy. Our Doctors of Chiropractic would first assess the patient by doing a thorough history taking, followed by a physical examination. If felt necessary, X-ray or MRI imaging may be required to get a better understanding of the patient’s condition. For skoliosis patients, our chiropractors would need an X-ray to determine the severity of the curvature and to identify the other components, which might be present alongside skoliosis. Your skoliosis treatment plan is formed after our clinical teams have had a chance of reviewing your x-rays and exam results. Our skoliosis treatment plans are formulated according to the therapeutic needs of our scoliotic patients. At Chiropractic Specialty Center, we don’t believe in the cookie-cutter method where one size fits all. We, in fact, we despise all centers that carry out the same skoliosis protocol for all their patients with the hope all of them will recover at the same rate. This does not make sense and should be stopped as soon as possible. Practitioners treating skoliosis should start focusing on scoliotic cases individually rather than taking the shortcuts, which often result in failures. The physiotherapists at our center are also very well trained in dealing with the treatment of skoliosis. We incorporate the latest in healthcare technologies into our patients’ skoliosis treatment plans to aid in their recovery. By combining chiropractic, physiotherapy and advanced spine technology you get the best of both worlds. What more can you ask for? Your spine builds the foundation for your health and well-being. Give it what it deserves: the best! Book an appointment today at any one of our centers to enroll in the Best skoliosis Treatment program in Malaysia today.